Encourage school children to value food more through reducing food waste. 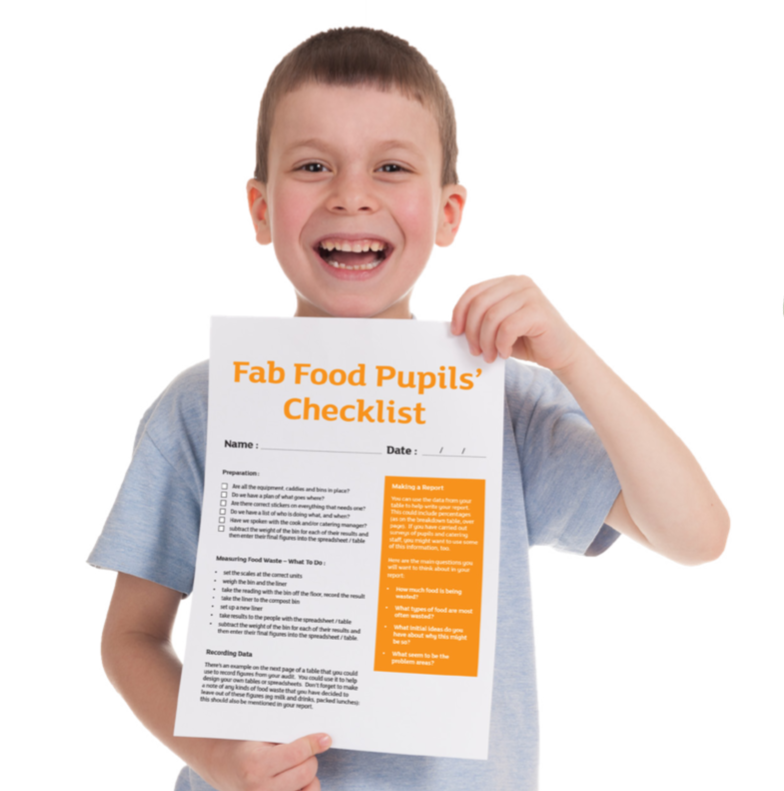 Through our Fab Foods campaign, your school can develop core knowledge and skills, including Mathematics through measurement and statistics; English through debate, discussion and writing; Science through recording data and understanding food waste; and Design and Technology through cooking and nutritional information. If you can’t measure it, you can’t change it! Collect and weigh every piece of food wasted in all parts of the school, including the classrooms, kitchen, dining room, staffroom and playground. Children see how much food is being wasted and what types of food are most often wasted, and start to work out why. Our resource pack includes preparation advice, including an equipment list, sample surveys and pupils’ checklist. Involve the whole school in creating an action plan to tackle food waste, using the results of the Food Waste Audit. Pupils and teachers plan ways to reduce the amount of waste food. This includes deciding which activities are going to work best during Food Awareness Week. Our resource pack includes information on commonly wasted foods, solutions and questions to prompt your pupils in discussions. A week of activities arising from the Action Plan. The activities can be carried out in class, across the school, in an assembly or at home. Together, they help make reducing food waste more fun and memorable. Our resource pack includes an assembly plan, a lesson plan and other ideas for Food Awareness Week. Step 1 is repeated to see if the school is now wasting less food. The children analyse, reflect and report back on what they have learned and what else needs to be done. Make sure to celebrate any savings you make! Get in touch for a free resources pack to reduce food waste in your school. The #FoodSavvy site is managed by Hubbub and supported by Norfolk and Suffolk Councils.